To make 2018 a great year for your website performance, let’s have a look back on the major evolutions for Dareboost in 2017: new features, improvements, best practices, etc. This retrospective post may remind you some very useful information for 2018! 2017: another eventful year for Dareboost! Here is an overview to make sure you haven’t missed any important information. 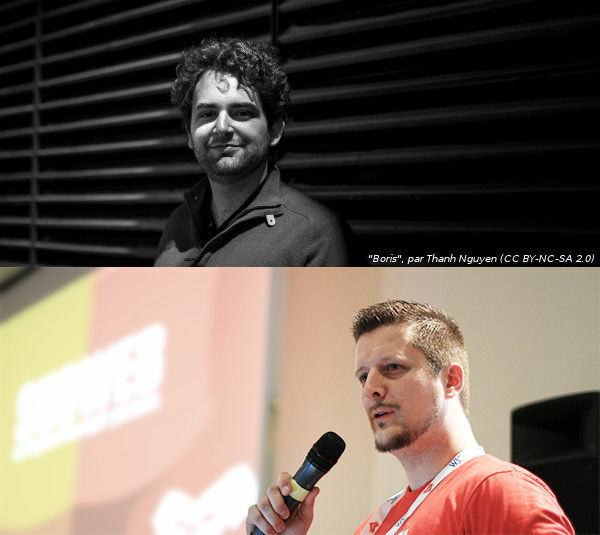 Matthieu Bué in November 2017 as Front-End developer. Two people who occupy key positions and will definitely enhance our ability to assist you in your optimization efforts. “My goal is for our clients to improve their websites’ performance […] and check with customers to ensure that they are on track with their performance objectives and, if not, see if I can help with an even broader use of Dareboost,” Boris explained in his interview. Let’s bet you may find exciting changes on our interface in the months to come! Dareboost tests are based on our own best practices repository (100+ checks) that we continuously keep up to date. Our goal: always provide you with audits taking into account the latest best practices regarding web performance, quality and security. in february 2017, we have updated our best practices regarding the Secure label in the address bar (when users request the website over the HTTPS protocol); enhanced our procedures for controlling the loading of third-party content and detec SPOF; added one best practice about the Public-Key-Pins (HPKP) HTTP header and another one to penalize the web pages that were not indexed. Feel free to read our detailed post about this update. Since December 12, many other changes have come for Dareboost audits: new tests about SSL certificates, weight control of the HTML source code, security controls regarding relative links (base element and CSP base-uri directive), etc. Not to mention dozens of improvements for the existing quality checks: find the detailed description of this update. At the end of 2016, we have just released one major new feature on Dareboost: user journey monitoring. We have been glad to see this transactional monitoring tool – allowing you to monitor the web performance throughout a whole user journey – attracts a growing number of customers. If you’re interested, we can arrange a demonstration. Boosted comparison and benchmark features. Last April, Dareboost announced an upgrade for its comparison feature, now allowing you to compare up to 12 analysis reports at a time! In addition, since December, these comparisons also include a graph to show the visual progress of the each compared web page. New locations for Dareboost test probes. 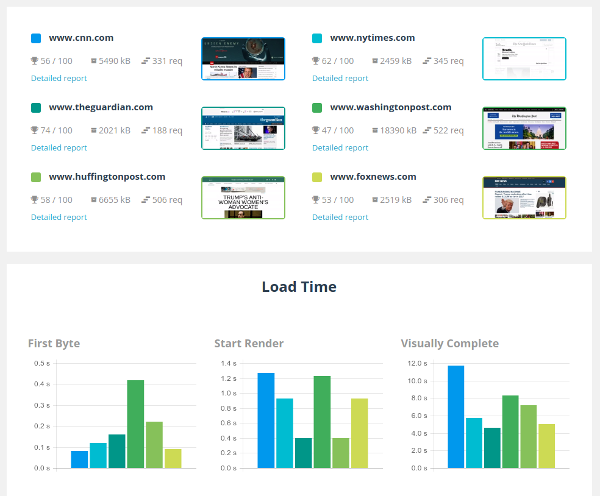 12 different locations are now available to test your websites performance with Dareboost. Here are the last added locations: Mexico (Mexico), Brazil (São Paulo) and a second available location in the United States (Seattle). The most curious of you (and those who are interested in monitoring their web performance more intensively) may also have noticed that new monitoring frequencies (30min and 15min) have been added on some of our professional offers. Actually, regular readers of our blog – especially those who have read our selection of advanced use-cases for Dareboost – also had a preview of another new promising feature on Dareboost: custom dashboards, allowing you to better align your follow-up with your concerns and use Dareboost even more efficiently. Interested by this new option? Feel free to contact us for a test! 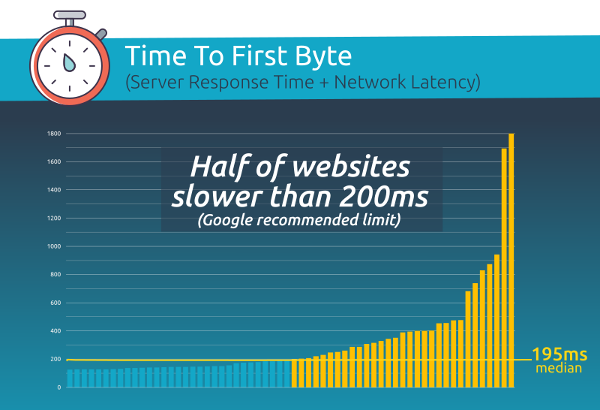 Our advice about best webperf indicators to measure, especially questioning the relevance of so-called loading time. We regularly produce french e-commerce barometers in partnership with the professional magazine LSA. Among the latest editions, you could have a look at this web performance comparison between the 15 e-commerce leaders in France. Our participation in the first DiG Publishing Lisbon event in Lisbon has been the opportunity to unveil the results of a web performance benchmark involving more than 60 european leading publishers (news and vertical websites). Product evolutions, strengthened team, more advice and enhanced support to optimize web performance: all these efforts led by Dareboost are rewarded by increasing results for our startup and we are quite proud of it. 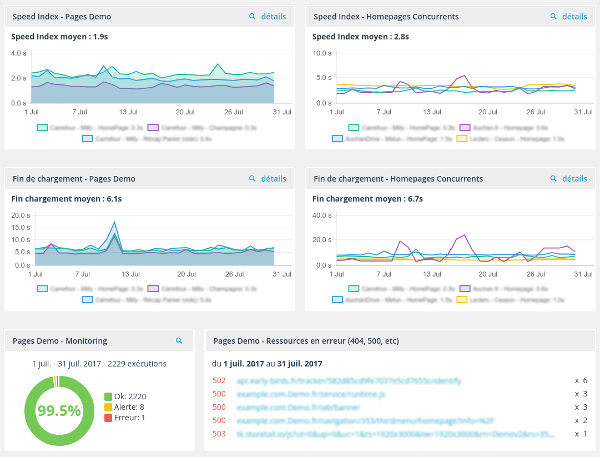 This crescendo development for our web performance testing and monitoring service motivates us every day to go even further in providing support our users… Whose community don’t stop increasing. Indeed, we are proud to start this new year with more than 60,000 registered users across 50+ different countries! The attentive eye of Dareboost allowed us to gain some points on important KPIs. One chance to win your Dareboost pro account! As a conclusion, we hope that this 2017 Dareboost retrospective will lead you to consider your web performance optimization as a major stake for 2018! To further motivate you, let’s play a little game for a chance to win a Dareboost Business account (or a few Dareboost goodies). Just have a look at our dedicated post and good luck to all!